Emphasis on Clients – Our only vested interests in any projects are 100% Client satisfactions. Project Management – Providing high quality energy consulting services within the budget and ahead of schedule. Thinking Outside the Box – Providing strategic energy solutions that meets the specific needs of Clients while focusing on the characteristics of their buildings, facilities, and/or campuses. No One Size Fits All. Darr Hashempour, Ph.D , P.E. President/CEO – DH Green Energy, Inc. Entrepreneur who started an Energy and Project Management consulting firm, DH Green Energy, after working for major utility companies and large internationally renowned engineering and construction firms for over 35 years. In less than six years, Darr Hashempour has developed numerous projects generating over $3.5 Million consulting fees backlogs. 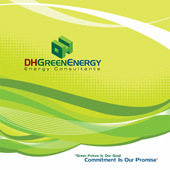 DH Green Energy provides engineering consulting and project management services in the areas of Energy Master Planning, Sustainable Design and Green Buildings, Energy Management, Renewable Energy, and Energy Infrastructures upgrades. Vice President – PinnacleOne, Inc.
Executive who leverages leadership expertise to drive increased revenue, profit and performance. Astute business strategist with big picture focus; developed marketing strategies to provide high-level program management and energy consulting services to major clients nationwide. Prepared marketing plan, created branding and printed materials and website for the new business unit. Developed a team of marketing professionals as well as established strategic alliances with consultants, subcontractors, and manufacturers. Wrote numerous articles for technical newspapers and magazines, spoke in major marketing organizations about the recent US “Energy Market”. Vice President – Syska Hennessy Group, Inc. Established a new Energy Solutions Business Unit to provide design-build services in energy infrastructures, assembled a team of energy experts, negotiated multi-million dollar energy program contracts, and directed the operations of the projects. Positioned the firm as the Energy Consultant/Advisor with the California Energy Commission for three years resulting in $9M in consulting fees. Functioned as an Energy Advisor to government agencies in the states of Alabama, Mississippi, and California. Managed the design-build own and operation of major Critical Facilities’ on-site power generation, infrastructure improvements and new constructions of various private and public clients, nationwide resulting in $60M in revenue. Vice President & National Director of Energy Services – CH2MHILL Constructors, Inc.
Project accomplishments include the award of $164 Million design-build project for the Los Angeles Unified School District, $500 Million Super Energy Savings design-build for the Department of Energy, and negotiating the acquisition of an Energy Services Company. Established a new Energy Services Business Unit from ground zero, negotiated and directed numerous multi-million dollars design-build projects, hired strategic staff, assembled a team of energy experts. Created an Energy Services Program to provide comprehensive engineering and construction service in energy management and power supply. Successfully qualified the new Energy Program with the Department of Energy, Department of Defense and 26 various Federal, State, and Local Government agencies. Developed and managed the construction and operation of central plants, on-site power generations and co-generations, energy infrastructures improvements and new constructions for major clients. Managed major projects with outside contractors as well as in-house construction forces for numerous multi-million dollar projects. Prepared plans, specifications, cost estimates, bid documents, project schedule and evaluated bides for procurement of power plant equipment and construction of various sites. Performed factory inspection during fabrication of equipment, engineering inspection during installation and construction phase, and participated in start-up and commissioning. Prepared Quality Assurance Manual, welding procedures, test procedures, and performed nondestructive examinations. Reviewed and approved construction field changes, prepared as-built drawings, and resolved disputes between general contractor and its subcontractors. As a Part Time Faculty, since 1993 with the California State University Long Beach, instructed engineering courses including, power plant design, power distributions, gas dynamics, and heat transfer systems design.